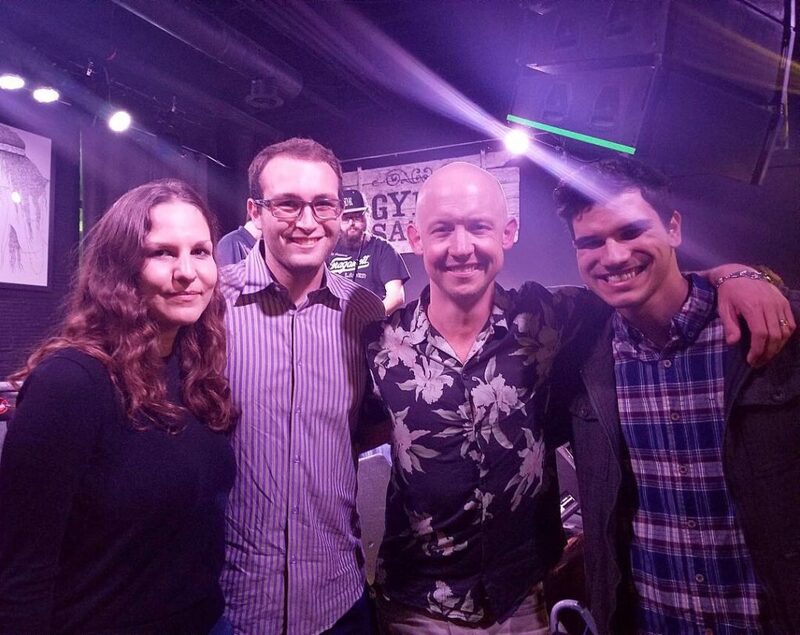 Catholic University students, having spent long weeks volunteering for Maryland independent Senate candidate Neal Simon, had a chance to relax while attending a free concert performed by Isaac Slade, the lead singer of The Fray. The concert, held Monday, September 24 at music venue Gypsy Sally’s in Georgetown, came as election day draws near to end a campaign for which the Catholic University interns and volunteers helped with everything from petitioning for signatures to phone banking to managing events. Senior philosophy major Francisco Flores-Pourrat, a Maryland native, started as a volunteer after classes ended in May, and originally managed social media for the campaign. Simon announced his campaign, running as an Independent Senate candidate, on February 6 of this year. With a background in business and management, he currently serves as CEO of Bronfman Rothschild, an investment advising firm based in Rockville, Md. Simon is running against two-term Democrat Ben Cardin, and is currently over thirty points behind the incumbent senator. He has been an Independent for most of his adult life, he says, but only decided to run for Senate after getting tired of complaining to business partners and family alike about the current political party system. Simon credited the college fellows and volunteers, especially Catholic University students Flores-Pourrat, Aaron Mackisey, Omar Qureshi and Julia Bergamini, and class of 2018 alumnus Eddie Leal, with doing “an incredible job”. “They’re really a diverse group, but they’ve been great at bringing people together,” Simon said. For Flores-Pourrat, helping with Simon’s campaign is just the “right thing to do”. For headliner Slade, the motivation is largely the same. Slade has been heavily involved in Independent parties in Colorado, including a bipartisan initiative to bring musical education to every K-12 student in the state. He had been introduced to Simon a few months ago after Simon announced his campaign. He had met many Independent politicians in the past, but Simon was “one of his favorites”. “He’s the right amount of courage, class, and creativity,” Slade said. About 150 people, including about 25 Catholic University students made the trek, gathered in the Georgetown restaurant to watch Slade alternate between piano and guitar as he played some of The Fray’s best hits. In between songs, Slade called Simon up to ask what the “switch” was that had been the decision for Simon to run, and if there had been any fear at the start of the campaign.